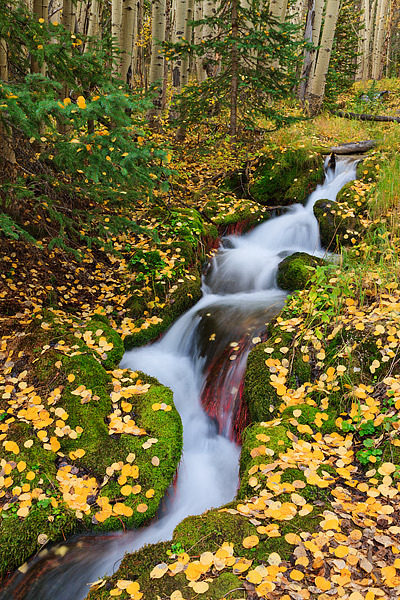 One of the most subtle, yet beautiful locations in Rocky Mountain National Park is the Boulder Brook area during the autumn season. Boulder Brook brambles through the aspen forest on the side of the hill, while the golden autumn aspen leaves cover Boulder Brooks mossy green banks. Photo © copyright by Thomas Mangan.